Discover inspired loft living amid the vibrant spirit of Ossington condos. 109OZ challenges the expected, with its angular 6 storey profile composed of sleek glass, brick and zinc.nUltra modern 1 bedroom, 1 bedroom plus den, and 2 bedroom plus den lofts offer glass balconies and terraces punctuated by vibrant splashes of colour. The Ossington townhomes is located between Davenport and Dupont, giving it convenient proximity to many exciting neighbouring areas. The Ossington residents can enjoy the many restaurants and charms of Little Italy on College, the fanciful Hillcrest Village and Corso Italia on St. Clair, The Annex on Bloor and of course Ossington Village. The walk along Ossington is infused with originality and spirit; the community offers some of Toronto’s most popular parks – Christie Pits, Hillcrest Park, Humewood Cedarvale Park, and Wynchwood Barns Park. The Ossington is quickly becoming one of the best new addresses in the city! 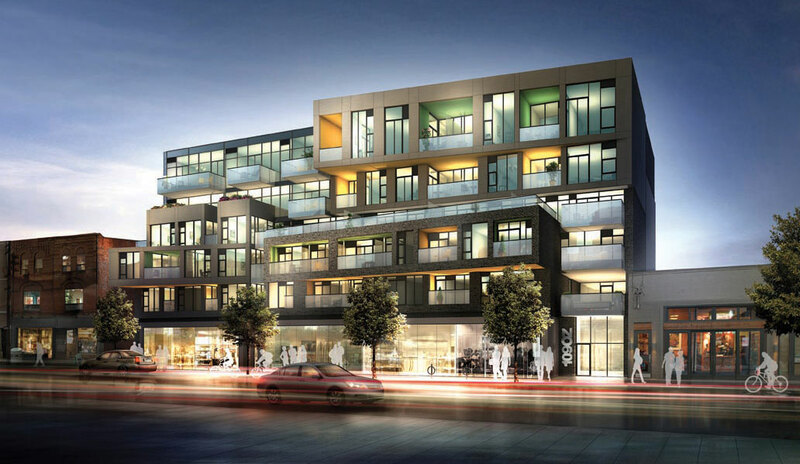 WHY THE OSSINGTON – LUXURY TOWNHOMES?